As we have mentioned in Part 1: Sheep, wool was as much a key to the success of the Viking peoples as their ships. The preparation and processes of turning the wool into fabrics was a laborious and time consuming activity for Viking era women, but it was also an essential part of life. 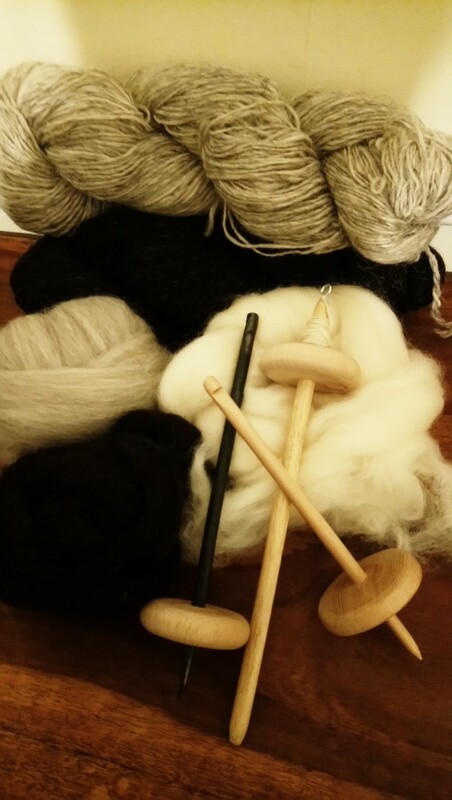 The importance of spinning and weaving in Nordic society is reflected in its integration into Norse mythology; from the Norns of fate spinning destiny to the practice of Seiðr. The word 'Norn' itself is derived from the proto-Germanic for 'twine', while the idea of the smørkatt or snakkur, a small magical creature which steals milk is depicted in Norway and Sweden as a ball of yarn, and as a spindle with yarn in Finland. There have been a high number of textile samples found from Viking Age Scandinavia, namely the sites of Birka (Sweden), Hebedy (Denmark) and Loddekopinge (Sweden) which, derive from very fragmented remains within burial sites where the textiles have been largely preserved around metal objects such as broaches and cloak pins. In addition to burials, at Hebedy textile fragments have also been discovered in the harbour and within the settlement itself. At Jorvik, textile samples have been found on a site in Coppergate suggesting a specific area of more commercialised textile manufacture. The abundance of these Viking Age textile finds yield evidence of the raw materials, techniques and manufacture thus we can gain a better picture of the types of textiles used within the various contexts of Viking Age activities. The archaeological finds from Viking Age sites across Northern Europe and Scandinavia show the majority of the textiles produced between the 8th and 11th centuries were of wool, (also found were flax and silk fabric remains). And within the wool textiles found, there was a variety of qualities from the more abundant coarse to finer textiles found in grave sites. At all archaeological sites an abundance of textile making tools were found, including spindle whorls, loom weights, bone needles, tablets, scissors and wool combs. The raw wools used within the Viking Age textiles can be categorised as coarse hairy or hairy medium (similar to modern-day Swaledale). Although better qualities were found, they were in much smaller quantities. Over two-thirds of the raw wool fragments from Coppergate were white, with only one third showing pigmentation compared to other areas in Europe such as Saxony and Frisia where three-quarters of wool fragments show either brown, grey or black natural pigmentation. 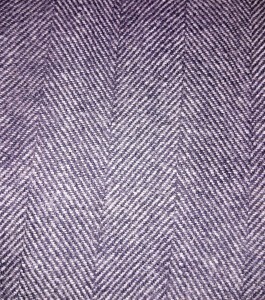 The vast majority of the wool finds are of worsted wool from the tog layer of the fleece. Worsted wool produces a tighter, hardier and stronger wool fabric, which is best suited for keeping out the wind and rain. These yarns are formed using straight parallel fibres and are spun using a short draw. 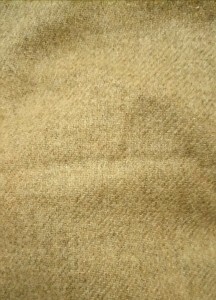 To get the wool fibres straight and parallel it is required that the raw wool be carded or combed. We know that carding as we know it today wasn't in use until the later medieval period, and archaeological evidence supports the use of combing to straighten the wool fibres. In Coppergate and Norway wool combs consisting of a double row of iron teeth set into a rectangular wooden block have been found, while in other areas of Norway and in Denmark combs with one row of teeth on a cylindrical head have been recorded. Once the fibres have been combed, they are ready for spinning into yarn. This was done by hand using a drop spindle (the spinning wheel was invented in China, and didn't reach Europe until around 1100AD). All the Viking Age sites of Birka, Coppergate, and Hebedy produced a huge number of spindle whorls of varying sizes and shapes. Ceramic whorls were most commonly found in Hebedy, stone whorls in Birka and Coppergate, and black clay whorls have been recorded at various other Viking Age sites across Scandinavia. The variety of spindle whorls found within each site suggests several different thicknesses of yarn were being produced. The lighter weight whorls producing finer/thinner threads and the heavier whorls producing thicker/coarser threads. This is reinforced in the analysis of spindles, which ranged from 150mm to 300mm and of varying thicknesses, with the shorter spindles also lending themselves to the spinning of finer yarns. From the textile fragments, we can also determine that yarns were produced both S(counter-clockwise) and Z (clockwise) spun and used in different combinations during the weaving of the fabrics. The best way we know what fabrics were produced in the Viking age is from the small fragments found in archaeological sites. In the UK, over 4000 textile fragments dating between 450 AD and 1100 AD have been catalogued as part of the Manchester Medieval Textile Project. 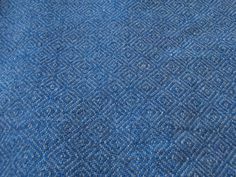 The earlier Viking period saw far more frequency of use of fabrics with woven patterns including twill weave, diamond weave and herringbone weave. Amongst the textile fragments found were evidence that a wide variety of fabrics were being produced. Viking era fabrics were produced on warp-weighted looms. The main archaeological evidence of the looms used is not the wooden looms themselves, but the warp weights, and therefore the exact layout of the looms is unkonwn. In fact there is only one image of a warp-weighted loom found in the UK from the Viking era. It is 'The Preists Stone' from Kirriemur Kirk in Scotland, and dates between the 9th and 10th Centuries. The difference in warp weight arrangements does not seem to be cultural or geographically specific, the materials used for the warp weights do. For example in Coppergate, York and Flixborough, Lincolnshire local clay was used; basalt in the Faroe Islands, granite in Greenland, and soapstone in Norway (Interestingly the Norwegian word 'kljåstein' means both soapstone and warp weight). Both single lines and double lines of warp weights have been found across various sites within Viking Europe. Double lines of weights take advantage of the looms natural shed, which is very useful for weaving balanced cloths like Tabby. The looms weights found in Hebedy and Birka were suitable for the manufacture of the types of textiles found. Amongst the woollen textiles found were Tabby, Twills (both coarse and fine), and Broken Twills / Diamond Twills (more prevalent amongst Saxon rather than Viking sites). The warps were generally hard spun, while the wefts were soft spun, and Twills of various types seemed to contribute the vast majority of finds. 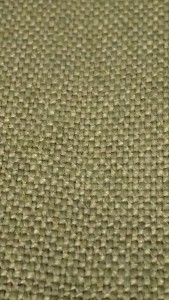 The finer quality twills were usually Z/S spun and the medium quality twills were Z/Z spun. The number of warp weights found at each loom site also gives an indication as to the widths of cloth being produced. In the 7th century site at West Stow, Suffolk, single lines of warp weights found suggest a narrow width fabric such as a sleeve was being woven, whereas lines of up to 2.5 meters were found at Grimstone End, Suffolk. This suggests each piece of cloth was woven for a specific end use. It wasn't until the later part of the Viking era that fabrics became more plainly woven. This shift in weaving patterns may have been instigated by the introduction of new weaving techniques, namely the two-beamed loom during the 10th Century.